RUSH: There’s an ABC poll out. You will not believe… Well, you will when I tell you why this ABC poll is so damned distorted. You know what this polling stuff is doing? This misrepresentation… They take and put together a faulty sample that oversamples Democrats. This ABC/Washington Post poll that has Trump’s approval number plummeting? Do you know what the plus Democrat number is? It’s 12%! There was a plus-12% additional Democrats sampled in this poll. Well, hell’s bells! And if you look elsewhere, you find that barely 9% of Trump’s base is having some problems with him. He is having practically no falloff at all, which is frustrating. But here’s the thing about these polls. Look at what polls are doing to Democrats and the left. They think they’re winning everything because of the polls. Hillary was gonna win in a landslide because of the polls. Trump was barely gonna show up because of the polls. Now there are polls saying that Trump’s popularity is vanishing, and he’s quickly becoming a nonentity. But it is not true! So the media believe their own polls and conduct business accordingly. Their deranged audience, the lunatics on the left, believe the polls. They’re losing everywhere except in the polls, and so they think they’re winning and that everything else is fraudulent. And it’s a disservice that the pollsters are doing to their own people, and it’s large… I think the polls have a major role in creating some of the discord that exists. Not fully. I mean, there are many elements to this. But if you’re a deranged lunatic leftist and you’re part of the Democrat base — and you’re a victim or you’re offended and you’re constantly angry — and you see poll after poll after poll that shows a majority of American people agree with you, and yet everywhere in real life you’re losing, what would you do? When I first got a sample of this, I thought of the exit polls in 2004. At five p.m., they had John Kerry winning the presidency, and of course, he didn’t. He lost it, and he lost it sizably, and leftists at that time thought that the exit polls were accurate and that the real vote count had been tampered with. The exit polls were what? “Kerry won! Did you see?” Well, this is just a microcosm of what’s been happening since, and it’s creating… I mean, they’re already off balance and off kilter, and this just contributes to it even more. 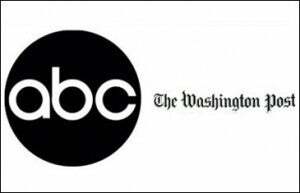 RUSH: On this ABC/Washington Post poll, it probably would be more accurate to say they did not oversample Democrats. They vastly under-sampled Republicans. The split: 35% Democrat, 23% Republican. Do you know what Gallup said that the Republican turnout was? Gallup says 38% of the United States ID’d as Republican or Republican-leaning after the November election, leading into and afterwards. Thirty-eight percent. You know, many more Americans identify as conservative than liberal. Do you know what the number of Americans who identify as liberal in this country is? 25. Twenty-five percent. It may be 22%. I mean, you may have a more recent figure than I do. The number of conservatives around 35, 38%. So in this ABC poll, a 12-point deficiency: 35% Democrat, 23% Republican. Now, in no universe is that a representative sample. It doesn’t even come close. I think they try to sneak it in by using a number for the Democrats that looks pretty normal. If they had, for example, done 35% Republicans, 48% Democrats, that would have been noticed. It took a while digging into this thing to find this out. So they’re under-sampling Republicans by 12 points — or, if you want to say, oversampling Democrats by 12 points. Let me ask you: Have you ever seen a poll that oversamples Republicans? I haven’t. I mean, not one of these. Not one of the Drive-By polls. NBC/Wall Street Journal, ABC/Washington Post, CBS/New York Times, I’ve never seen one. But this is how you get the result you want. So these people that vote Democrat, these left-wing lunatics out there, they see this, and they get more frustrated, because in every poll they’re winning! In every poll, everybody agrees with them — and then, when it’s put to the real test, they always end up losing, and they’re going insane. RUSH: I just got an email. “Did you just say that Gallup announced that 38% of the country identified as Republicans after the November election?” I said “Yes.” Okay, so 38% of the country identified as Republicans last November, and the ABC/Washington Post poll samples Republicans at 23% in their poll showing Trump is losing popularity and favorability. That is a 15% deficiency. Folks, that’s not an error. That is so big, that isn’t an error. That is purposeful. That means they’re doing this survey in New York and Boston and Washington. You’d have to limit your sample to where there are no conservatives or Republicans in order to get a sample like that, unless you just arbitrarily decide to under-sample. Fifteen percent fewer Republicans today than last November? And I guess that’s part of the — they want people to find this and say, “Yep, yep, that’s how bad Trump is. He’s forcing people to no longer even admit they’re Republicans.” That’s probably what ABC polling experts are waiting to say when they’re next invited on CNN and a panel.